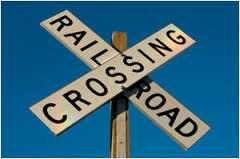 Railroad Injuries - FELA - Jerry Martillotti & Associates, P.C. If you are injured, you must notify your employer of the injury and the circumstance that led to your injury. You are also required to fill out an incident report within 24 hours, if possible from the time you were injured. You have an absolute right to request medical care and you should request such care if you feel you have any personal injury. It is also important to continue medical treatment while you are injured. Claims agents begin an internal investigation immediately after being informed of your claim. They may want a recorded statement from you. You do not have to give such a statement and we recommend that you do not give a recorded statement. These statements can be used later against you in a legal setting and the claims agents are trained to ask questions that are biased and leads to damaging testimony. Claims agent may offer you to continue to pay you while you are out of work if you give such a statement. However, any money that is “given to you” by a claims agent after an injury is simply a loan on your settlement and must be paid back to the company. Also once you agree to receive loans from the company, the company will then send you to “their company doctors” that will begin to develop opinions that will hurt your claims. It is important to discuss with an attorney an offer to receive loans/advances with the company as soon as they are offered to protect your rights. Sometimes, it can work to your advantage to accept these loans, but that are many steps you must take to protect yourself while the company is loaning you this money and requiring you to treat with their doctors. AS A RAILROAD EMPLOYEE YOU DO NOT HAVE ACCESS TO WORKERS COMPENSATION, IF YOU ARE INJURED ON THE JOB! Railroad Workers are one of the very few workers in our National work force that do no have access to a State or Federal Workers’ Compensation system. The F.E.L.A. allows railroad employees to recover the following types of damages, typically paid in a lump sum: Lost earnings, both past and future. Medical expenses, if not paid by railroad or by insurance provided at railroad’s expense. Compensation for decreased earning power, such as may be involved due to the necessity of taking a lower paying job because of the injuries sustained. Compensation for pain and suffering, past and future. Such damages may include “humiliation and embarrassment” in cases of scarring, mutilation, disfigurement or the loss of the ability to enjoy a normal life or engage in the usual pre-accident activities. There is no preset cap or limitations on a FELA claim In a Worker’s Compensation claim – you are only entitled to receive payment for medical bills and 2/3 of your average past wages for a preset limited time. If you sustain a permanent injury, you also may be entitled to a loss of function payment, which is a one- time payment generally set by statute. In an FELA case, only a jury can decide the amount you recover if your case goes to trial. The FELA is a negligence-based system. If you are injured, you and/or your attorney must prove that the Railroad did something to cause your incident. It is not sufficient to say you were injured at work and therefore are entitled to compensation. In the FELA, the railroad must give you a safe work place and if they have even a slight role in your injury, you will be successful in your claim. Worker’s Compensation is based on a no-fault system. So if you can show an injury at work, you are entitled to make a claim, without regard to fault. Therefore, knowing your rights and having someone investigate the claim on your behalf is critical to preserving your rights. WHILE THE FELA REQUIRES AN ADDITIONAL ELEMENT OF PROOF, THE SYSTEM ALLOWS INJURED WORKER’S TO BE FAIRLY COMPENSATED WITHOUT LIMITS (like the Workers’ Compensation system). HOWEVER, THE NEED TO PROVE YOUR CASE – IS THE MAJOR REASON YOU NEED REPRESENTATION BY AN ATTORNEY. A lawsuit under the FELA for personal injury must be filed within 3 years of the date of injury. In death cases, a lawsuit must be filed within 3 years of the date of death. In cases involving occupational disease or cumulative trauma disorders (asbestosis, hearing loss, carpal tunnel syndrome, etc. ), the limitation period is 3 years from the date of discovery of the disease and its relationship to your occupation. To combat employee injury claims, the railroad utilizes a system of internal claim agents. Claim agents are employees of the railroad hired with the sole purpose of protecting the railroad’s interest and saving the company money. All too often the railroad companies, through claim agents and other methods, succeed in dodging their just, lawful responsibility. It is important to understand the reality of the claims agent; he is employed by the railroad to limit the railroad’s liability to claims and to work out the best deal for the railroad. This means that the claims agent may be working against the injured worker. Claims agents have received training in persuading injured workers that company and the claims agent are on their side and really want to help out injured workers. However, the practice of the claims agent is to develop a relationship with an injured worker by showing concern, and offering to help. Then as time goes by using this false confidence for settlement leverage. If you settle a claim with a claims agent, you cannot have your claim reopened even if you received substantially less than you are entitled. WHAT HAPPENS IF I HIRE A LAWYER? The railroad industry has made an effort to attempt to limits its injured workers’ from hiring attorneys. These attempts have occurred because represented workers get better results. Some railroads have become overly aggressive with their employees and have created an atmosphere of fear and reprisal if an injured work hires an attorney. You should not fear your employer or its agents since if any individual attempts to punish you from bringing an FELA claim, they can be charged with a crime. Some railroad have attempted the opposite approach by attempting to work closely with their injured employees and offer medical services, a nurse to regularly contact you to discuss your care. Don’t be fooled, these actions which seem very nice are set up by the claims department and time and time again, these nice folks who are working with you, will end up working to limiting your recovery and will testify against you if your claim proceeds to court. 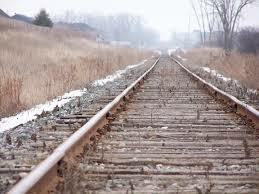 Once you retain a lawyer, the railroad can no longer contact you directly about your claim. They must work through your attorney. This prevents the undue pressure that comes with claims agents calling you asking you to return to work before you are ready, and a railroad nurse getting involved in your medical care and questioning you about it. Contact us at Jerry Martillotti & Associates and we can help you. The initial consultation is always free and we can come and meet you at your home if you are in need of a home visit. 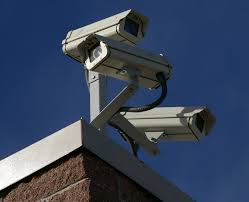 We handle cases in Pennsylvania, New York, New Jersey, Maryland and the District of Columbia. Learn more about the FELA at our FELA Specialist site.